Holder told President Barack Obama of his plans over the Labor Day weekend and will formally announce his decision at the White House later today, according to the official, who asked for anonymity because Holder’s intentions haven’t been publicly released. Obama is returning this afternoon from meetings at the United Nations in New York and the White House has scheduled an announcement for 4:30 p.m. Washington time. Holder, 63, is one of three original members of Obama’s cabinet still serving in the administration, having been confirmed in 2009. 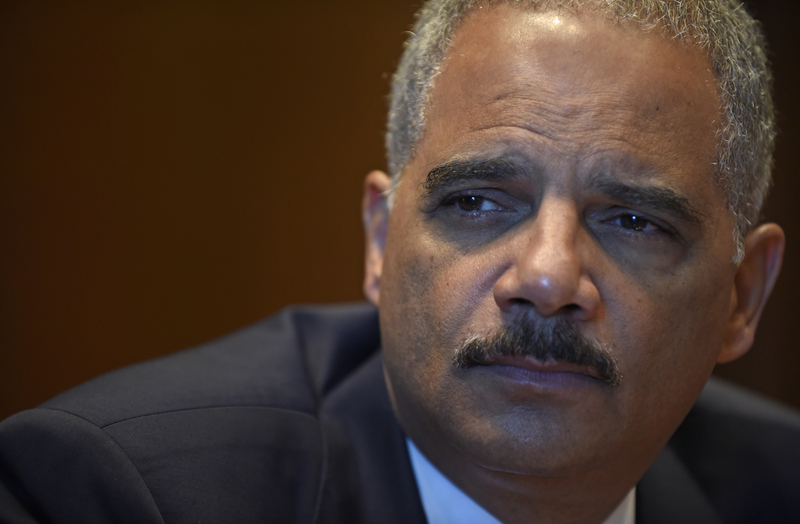 He is the first black attorney general and the fourth-longest serving in U.S. history. Deputy Attorney General James Cole; Kathryn Ruemmler, the former White House counsel; Deval Patrick, the Democratic governor of Massachusetts; and at least three Democratic U.S. senators, Claire McCaskill of Missouri, Mark Pryor of Arkansas and Amy Klobuchar of Minnesota, have been mentioned by congressional and administration officials as qualified successors. Holder has been discussing plans to leave the job for more than a year as he tried complete his agenda on federal sentencing and civil rights. Holder positioned himself at the vanguard of protecting racial and ethnic minorities and gays and lesbians from discrimination, fixing what he considers related flaws in the justice system, sometimes without congressional action. Last year, he sued North Carolina and Texas to overturn voter-identification laws that he says unfairly target minorities. He has instructed federal prosecutors to avoid charging low-level drug offenders in a way that triggered what he considers “draconian” mandatory minimum sentences. He also has been a target for congressional Republicans,over his role in overseeing a botched attempt to track gun smuggling called Fast and Furious. The House held Holder in contempt of Congress in 2012. “It will happen to all of you at some point, you zoom past your 30th, 40th, 50th birthday. When you get to 60, there is a certain sense of mortality you have to come to grips with, when you realize you have more yesterdays than tomorrows,” he said in an interview with Bloomberg News in March.